Brewing Equipment, Charts & Graphs, Experiments, Fermentation, Fermentation Chamber, Keezer / Kegerator, Level 2, Nerd Alert! Once one has decided to install a temperature controller on their fermentation chamber, one of the first questions is where to place the temperature sensor. In this post, I’ll show the results of 3 identical beers fermented using 3 different configurations. Warning, the material in this post could get a bit nerdy. If you have made it this far, please continue. Just the time to read this article and implement your chosen solution. I have seen other tests where a temperature probe is just used to control the temperature of a mass of water. This is good information, but it only tells part of the story. The reality of the situation is that while fermenting, from the fermenter’s reference frame, it is an exothermic reaction. What this means is that while fermentation is active, the direction of heat flow will be from the beer, through the fermenter wall, to the air in the chamber, then out of the chamber to atmospheric. This is of course assuming your fermentation chamber is placed inside or in a location that is warmer than the desired fermentation temperature. If your fermentation chamber is in a garage or location that will be colder than the desired fermentation temperature and any situation where you’ll be pushing your fermentation temperature above ambient, the direction of flow will be different. That will be discussed later in the post. From basic controls theory, one should measure directly what one is trying to control. 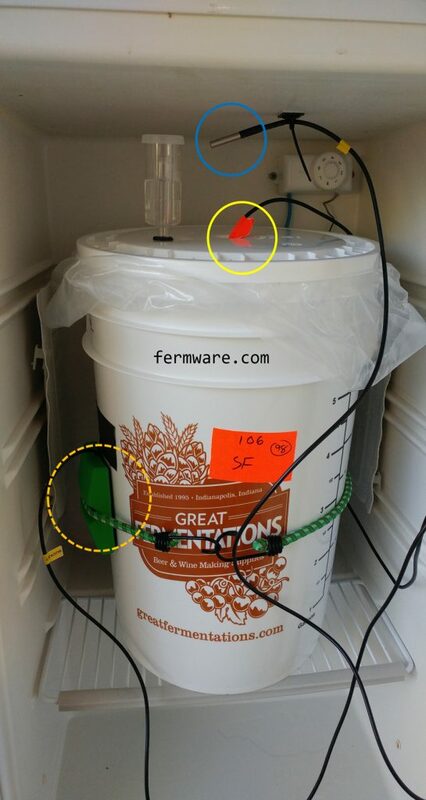 In this case, if you are trying to control the temperature of the fermenting beer, you should then measure the use the temperature of the fermenting beer as the input to your control system. 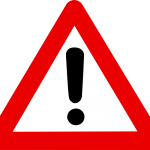 If you enjoy this post, please consider supporting this site by clicking on and purchasing products through the affiliate links in this post and on this website. Three different fermentation chambers were used, all of which used the exact same wort, with the exact same yeast. The recipe was an Oktoberfest with an OG of 1.054 and the yeast was a slurry of Wyeast 2206 from a previous batch. Each wort started with a temperature around 65 degF so that one could assess the performance of each control method in rapidly cooling wort. My target fermentation temperature of the beer was 52 degF and this was done in my garage in September in Indiana. The fermentation controller was based on the BrewPiLess, which is a derivative of the BrewPi controller. I like this setup, because it doesn’t require both a Raspberry Pi and an Arduino. All it requires for the controller (as of now) is a much less expensive ESP8266 / ESP-12E or a Wemos D1, plus the temperature sensors and whatever power relay you want to use. It can be used as a “dual-stage” controller, meaning that it will control a heating and cooling device for your fermentation chamber. 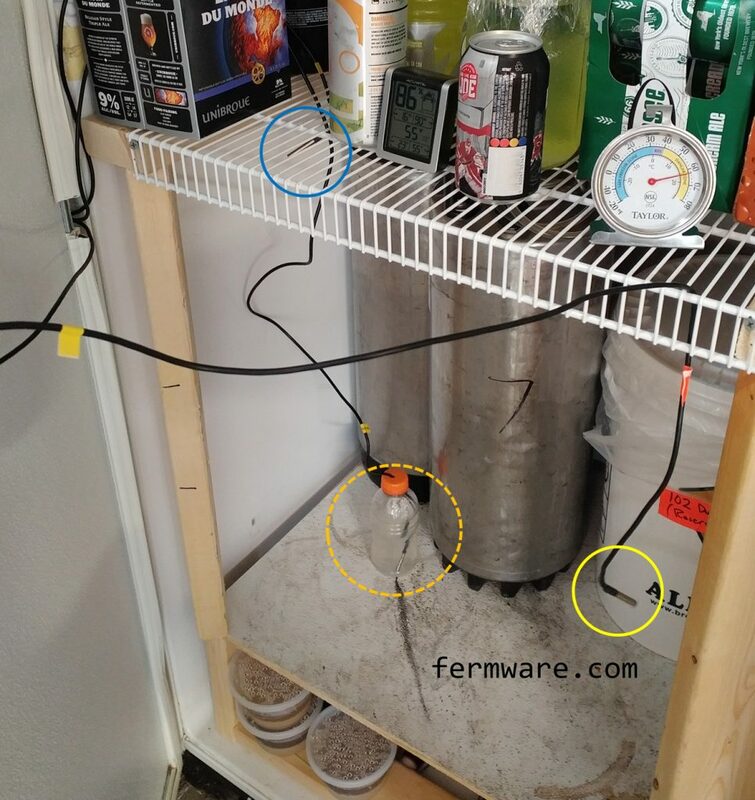 I put the 3 sensors to best use to measure the fermentation chamber characteristics. I also checked each set of sensors prior to installing in the fermentation chambers and each controller’s temperature sensors were within 0.5 degF. With the BrewPi/BrewPiLess setup, there are a few different control options. You basically set your desired temperature and then determine what sensor in the setup will be used to maintain this temperature. 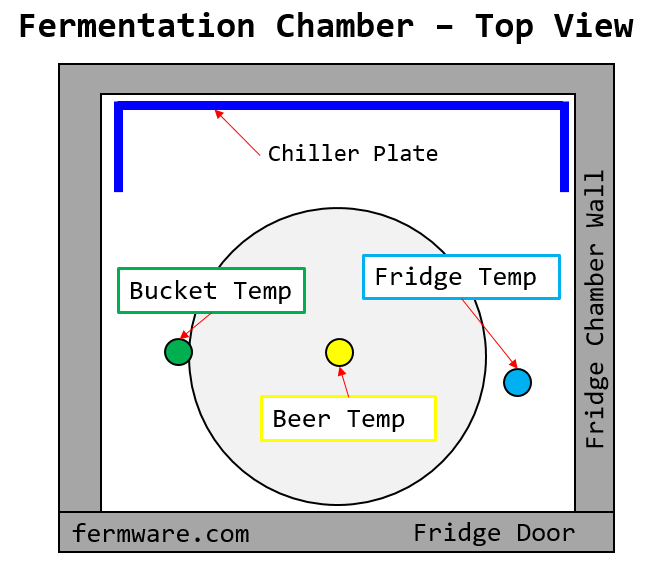 The fermentation chamber will be cycled so that the target temperature of the chamber will be driven by the sensor labeled “beer”. This is the control method I used for all 3 configurations. The fermentation chamber will be cycled so that the target temperature of the chamber will be driven by the sensor labeled “chamber”. I did not use this control method at all. I would only recommend this method for a kegerator/keezer. With all 3 fermenation chambers using the BrewPiLess controller and the same wort, I tried to minimize the variability of each setup. The biggest difference in all three setups is that identical fermentation chambers were not used, which in my opinion is a negligible factor. My opinion is founded by considering the speed with which the fermentation chamber may adjust it’s temperature with respect to the rate of change in temperature of the fermenting wort. The fermentation chambers / refrigerators, can change temperature rapidly and effectively with respect to the rate of change of the fermenting beer. The great thing about the BrewPiLess setup, is that you can log data locally, or in my case, log the temperature data to a cloud based service. In my setup, I logged to Thingspeak.com. I logged every minute during the test, which was required to pick up on temperature changes and responses during each power cycle of the refrigerator. For normal fermentations, I log every 10 minutes. This data would then be used to compare target temperatures to the actual temperature of the fermenting beer. The table below summarizes the various control methods and probe placement that were used in the three fermentation chambers. I’ve tried to color code the pictures of the setups similar to the results charts shown later. 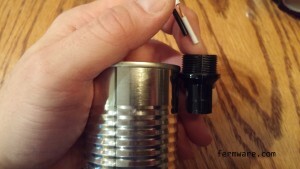 Below is a picture of the temperature probe in a buffer. It’s simply a small volume of fluid that will serve to dampen or “buffer” the temperature swings. This is the theoretical best method as the temperature controller is controlling to the actual beer temp. This is in a converted dorm fridge I use as a lagering chamber. 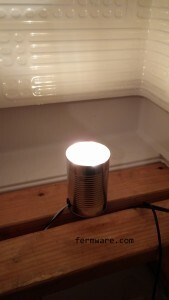 I placed the temperature probe midway back in the fridge so that it’s between the cooling element and the door. Here is a top view diagram of where the sensors were positioned in the last 2 configurations. This is basically the same setup as Probe in Beer, but in a different fridge (same size fridge) and obviously a different control method. This method in use is the easiest in terms of not having to do much extra to set up, since you are simply placing the temperature probe on the outside of the fermenter. 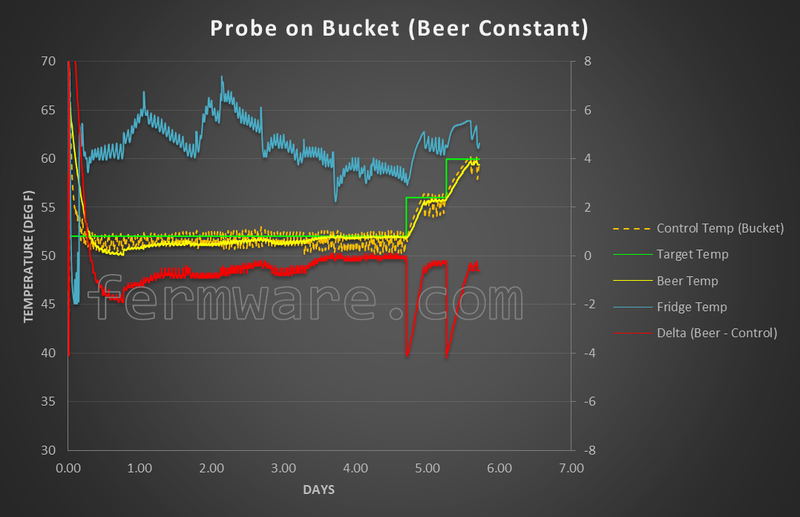 Fortunately, each of the three methods provided distinctly different responses, which enabled me to show that there are differences in how accurately each method controls the temperature of a fermenting beer. I’ll start with what I would consider the poorest control method. 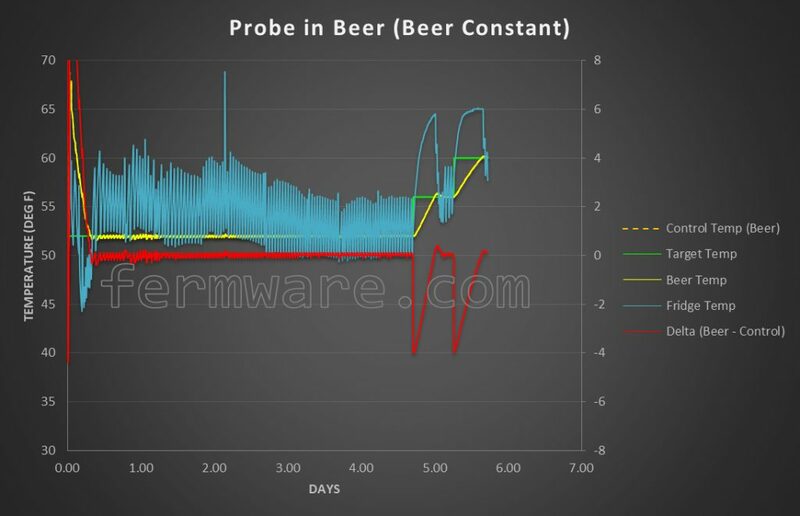 I would like to point out that once I started the diacytl (temperature ramp up)rest period, all of the methods showed a larger negative (-4 to -7 degF) delta due to the fact that there was not a forced warm up of the wort, but rather a passive warm up due to internal fermentation heat and ambient heat outside of the fermentation chamber. Using this method, the fridge and beer temp are measured in addition to the control temp, which was the buffer. 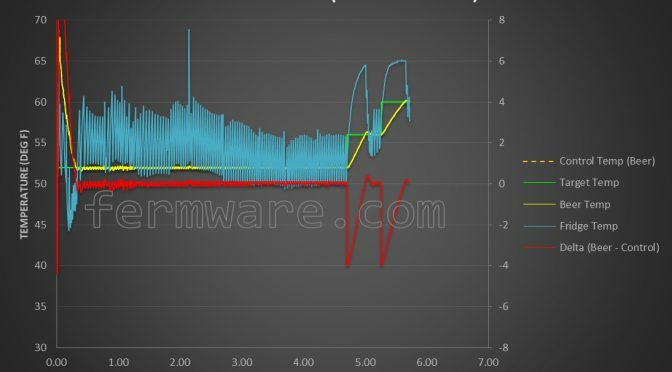 You can see in the chart a bit of wonkyness at the beginning, where in my attempt to be clever, I mislabeled the sensors and had them in the wrong locations. I fixed it within a few hours and it did not affect my interpretation of the final results. During the chilling phase, this method shows that it takes nearly 15 hours for the wort to chill from 65 degF to below 53 degF. This would be explained by the fact that the buffer was less than 16 oz of starsan water versus 5 gallons of wort and it reached the setpoint temperature much sooner than the the uncontrolled fermentation bucket would. Once the wort had chilled down to temperature, this method still showed having trouble keeping the fermenting beer at the target temperature. The fermenting beer was about 3-4 degF warmer than the setpoint through the intitial portion of fermentation. For the chill down phase, it took 6.8 hours for the wort temp to go from 65 degF to below 53 degF using this control method. Barely slower than the probe on bucket method, so we could potentially call this within capability of the refrigerator. I could do the math on the amount of energy or heat pulled from the air inside the fridge, but I’m not going to nerd out that much. For the remainder of the initial fermentation period, the temperature of the beer was dead on target. 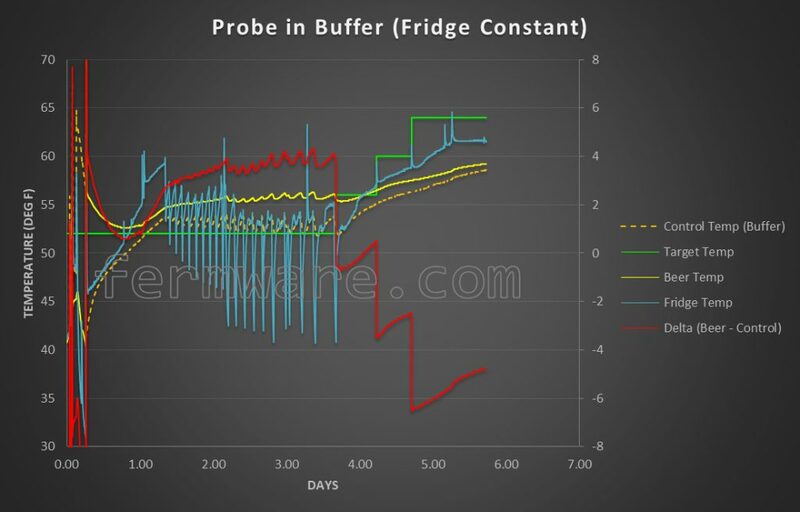 From looking at the data, the moving peak-to-peak temperature swing of the refrigerator was much larger using this control method than the probe on bucket control method. The overall result here is not what I would have expected. I would have assumed that the actual fermenting beer temperature would have been warmer than the target temperature (controlled by the outside of the fermenter), but what the data showed is that it was the complete opposite, however small (within 1 degF). It did take 6.5 hours for the wort temp to go from 65 degF to below 53 degF using this control method. At first the temperature controller overshot and took the wort to 2 degF below the setpoint, then seemed to settle in around 1 degF or less lower than the setpoint for the remainder of the initial fermentation period. 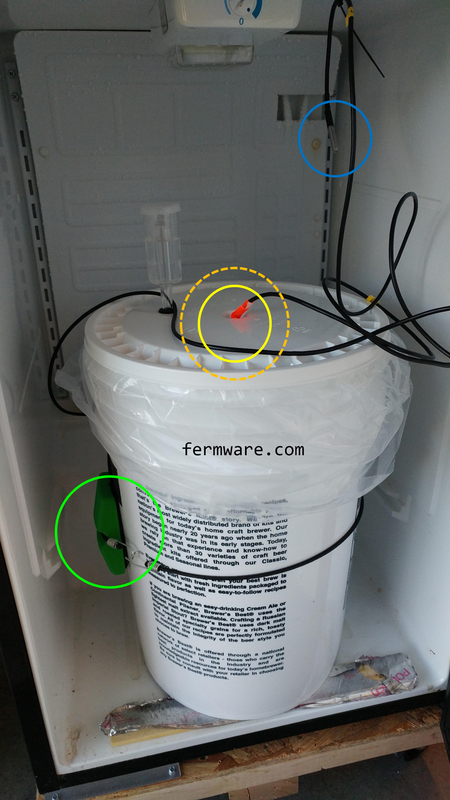 Astute readers will notice that in the Probe in Beer and Probe on Bucket configurations, the Fridge Temperature was above that of the beer. This does not make sense, right? One has to understand that the “Fridge” temp sensor was only reporting what that sensor was reading and not necessarily the actual temperature of the fridge. 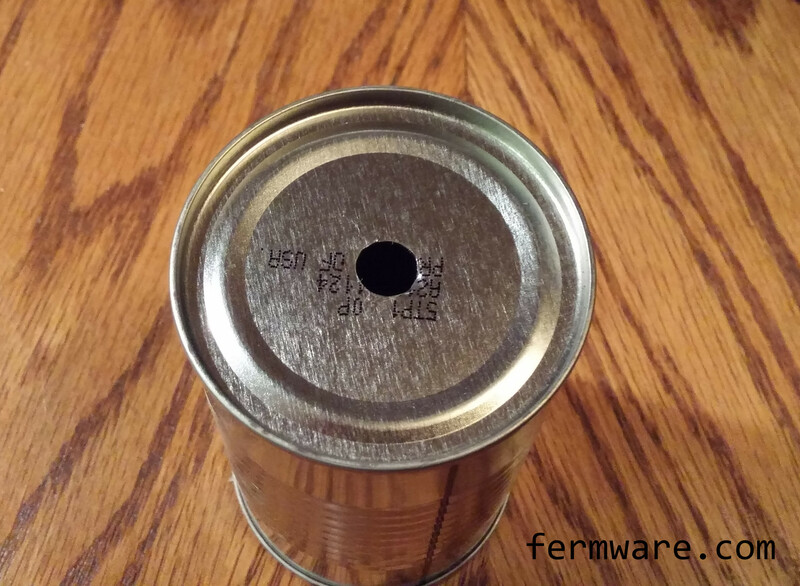 It’s entirely possible that at the top of the fridge where the sensor was mounted, it could have been warmer than the rest of the fridge, presumably due to heat ingress to the refrigeration chamber. I’m not about to launch another blog post about fermentation chamber thermodynamics. 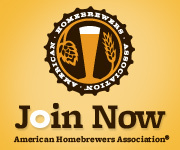 I could, but I don’t think it will serve a majority of the homebrew community. 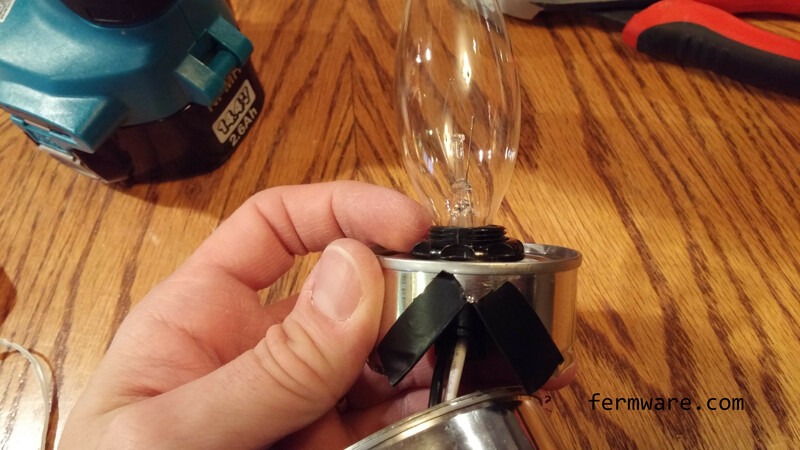 If you are in the case where you need to raise the temperature of the fermentation above ambient, I would propose that the method of attaching the probe to the outside of the fermenter would probably still be sufficient. 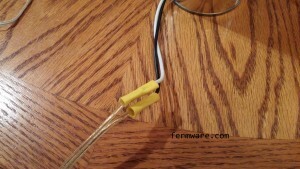 However, you should be careful to insulate the temperature probe from the heat source. 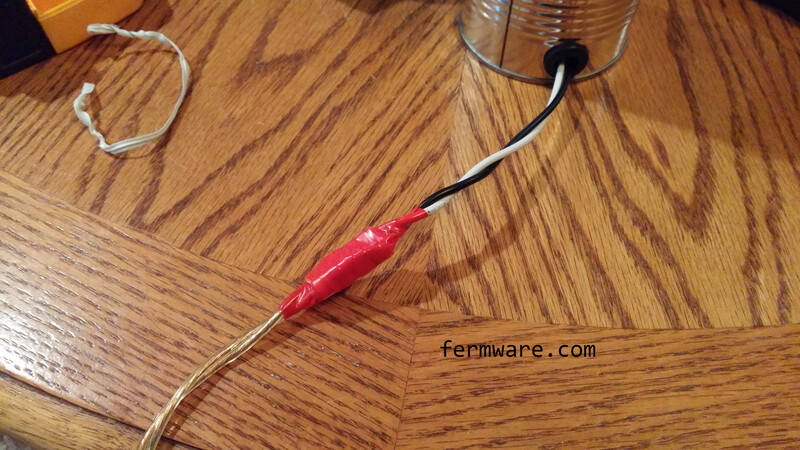 If you are using a heat wrap, definitely don’t place the probe right on the heat wrap, as the controller will most likely cycle on and off fairly often and either fail prematurely or not get to the desired fermentation temperature. 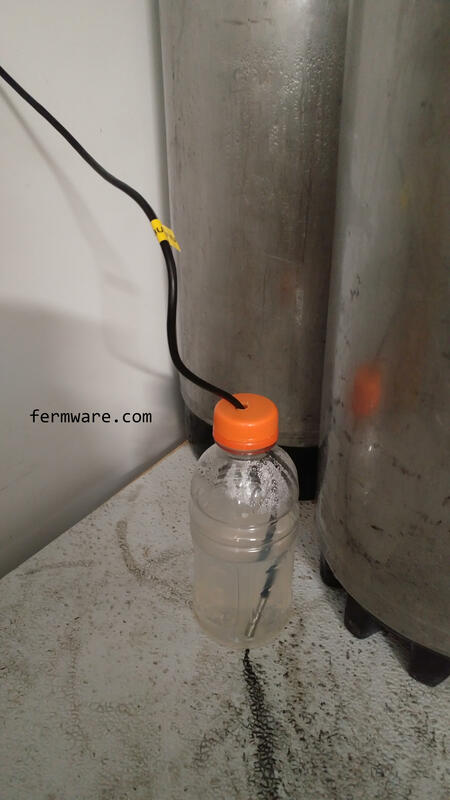 If you decide that attaching a temperature probe to the side of your fermenter is impractical, I recommend placing the probe in a location that will not be in the direct path of the cold air from a fan, cooling source or right next to the door. If you decide that attaching the probe to the outside of the fermenter is ideal, I would recommend placing the probe midway up the fermenter so as to be in the middle of the liquid level. As in the above recommendation, I would place the probe on the fermenter midway between the door of the chamber and the cooling source. That way you at least are splitting the difference between the warmest and coolest regions of your chamber. 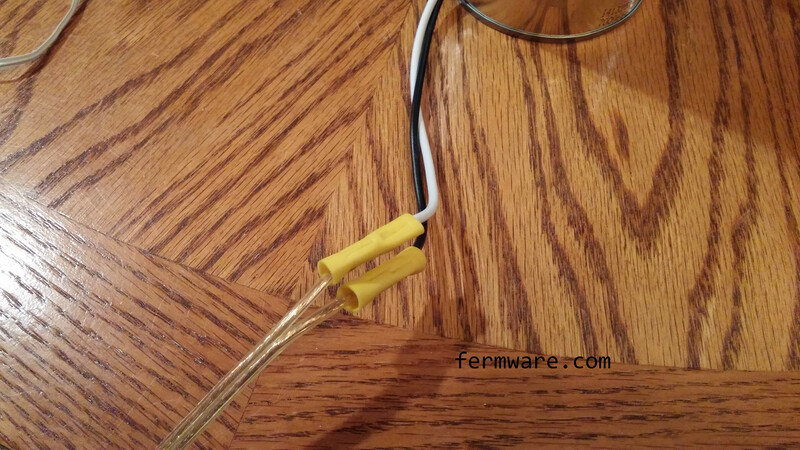 If you have a circulation fan, I would also recommend placing the temperature probe out of the airflow. Finally above all else, I would try to place some sort of insulation on the outside of the probe, so that the probe is receiving most of it’s measurement from the heat exiting the fermenter walls. Suggested ideas in varying levels of effectiveness would be a towel, bubble wrap, actual insulation, tape, etc. 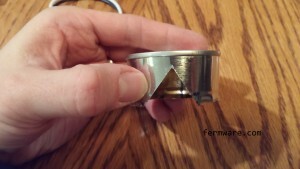 If your chosen approach is a thermowell or placing the probe directly in the fermenting beer, there are many options out there. I would just be sure to make sure you have a good seal where the probe cable enters the fermenter. If not, you’ll have a nice place for unwanted bugs to make their way in. 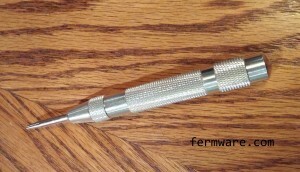 As shown, the most accurate method is to place the temperature probe in the fermenting beer. However it is up to the reader to determine what suits them better. I personally have taken the stance that putting a probe into the fermenting beer is one more possible source of infection and yet another thing that I have to clean. I will accept the few degrees difference between target and actual and make judgement calls with each batch on how aggressive I want to be on the over/under on my setpoint from target. I also take the approach that if your target was 50 degF and your fermenting beer remains at 48 or 52 degF, I do not think the end product will be affected enough to make any realistic difference. Please support this site by clicking on and purchasing products through the affiliate links in this post and on this website. Please also consider sharing on your favorite social hangout or making a small donation to help me purchase something to make another post. We all know the importance of temperature on fermentation. However, often when we put temperature controllers on our fermentation chambers, we only need to worry about cooling. In this post I’m going to show you how to make a simple compact heater for your fermentation chamber. This is a fairly easy project. 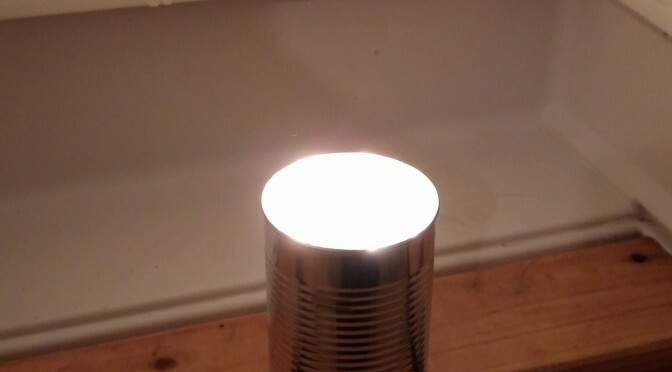 It just requires some empty food cans, a small light socket and some lamp cord. It should also not take any longer than 30 minutes once you have collected all of the parts. The main cost for this project was the light bulb base, which was only about $5 and whatever you need to spend on bulbs. 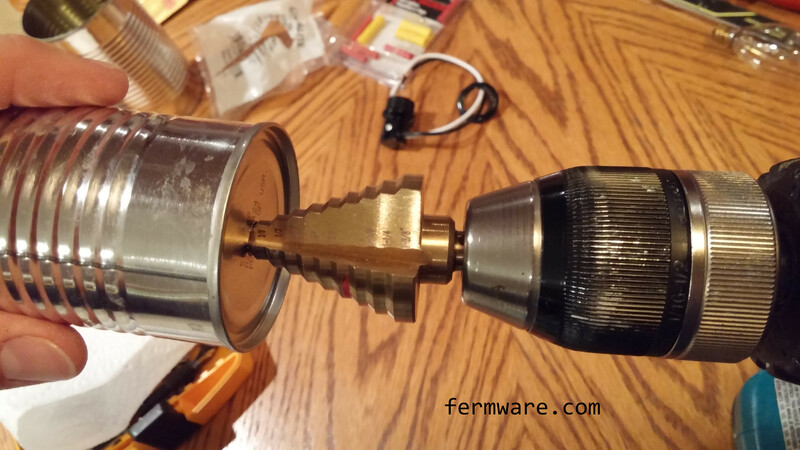 The remainder are tools and components you can source from around your home. Up until now, I’ve only used my fermentation chambers for lagers and since everything inside my house, I’ve only needed to cool. Well this WAS ok until I needed to do an ale and my fermentation area in the basement only peaks at a cool 60 degF. I also use converted dorm fridges and didn’t have space for a full size light bulb fixture and didn’t want to bother with the heating pad type heaters. If you are not comfortable working with wiring or electricity, please hire or find someone who is competent. 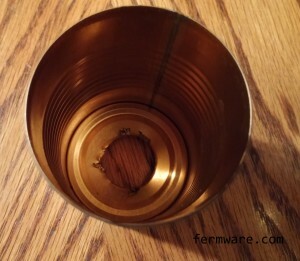 Also, be sure to place the finished heater in a location that will not get wet. 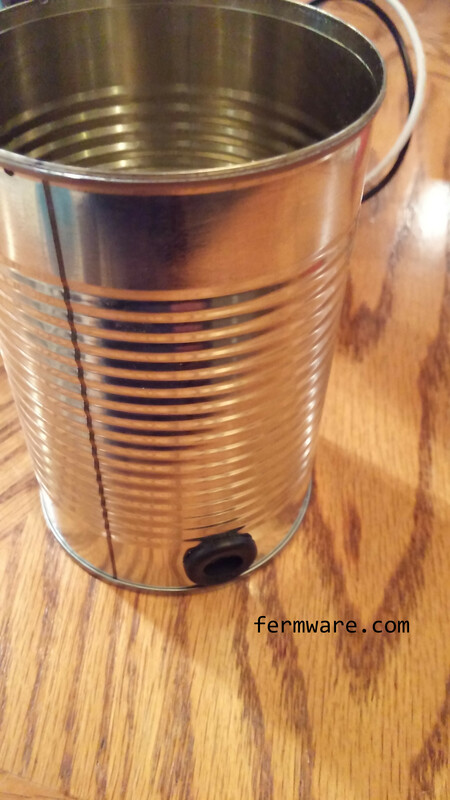 I used a can from some green beans and a tomato paste can. Make sure they are all metal and not plastic lined. 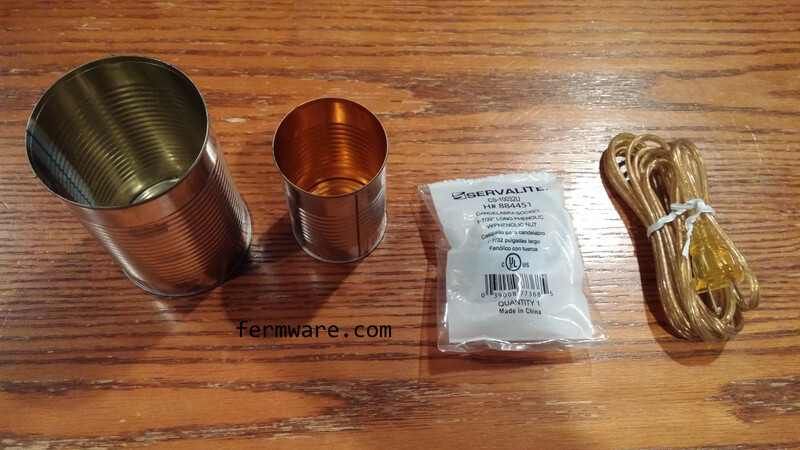 Since you are homebrewers and obviously know how to clean and de-label containers, I won’t go into that. I will however say that you want to try and get rid of as much of the smell from the original contents as possible. The first use made my fermentation chamber smell like spaghetti sauce. 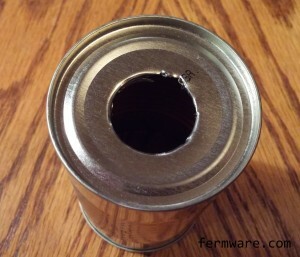 Drill a hole in the bottom of the tomato paste can as a pass through for the candelabra base. I pre-drilled with a standard drill bit and then cleaned it up with a step bit. 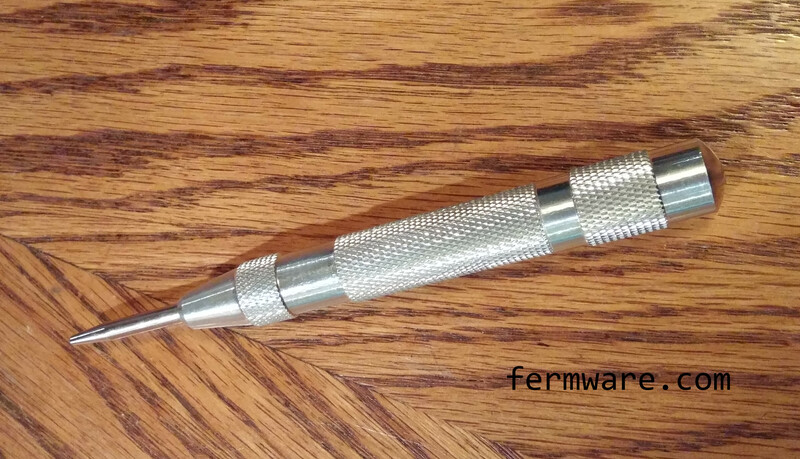 I also used a deburring tool to clean up the edges. 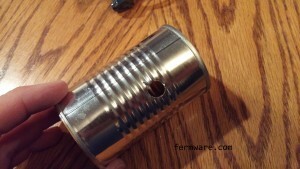 Then to cut it to length, it is easier if you pre-drill a hole to start your cut with the tin snips. 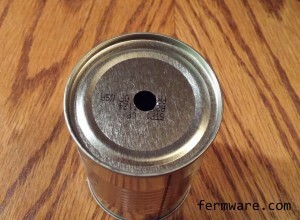 Also, you may need to make another cut up the side to allow you to pull the metal aside as you cut around the can. 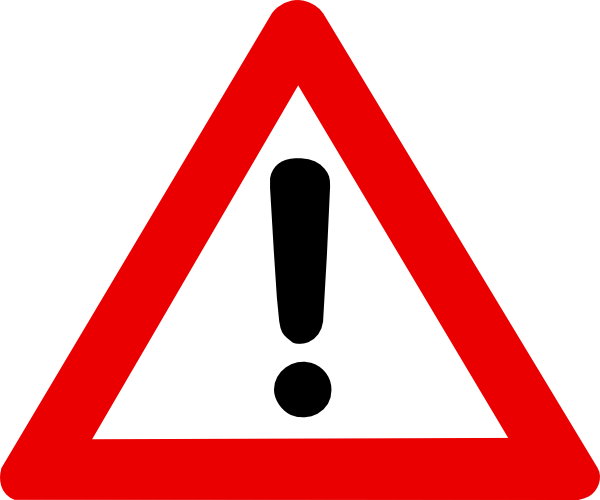 BE CAREFUL, THE METAL IS THIN AND SHARP. 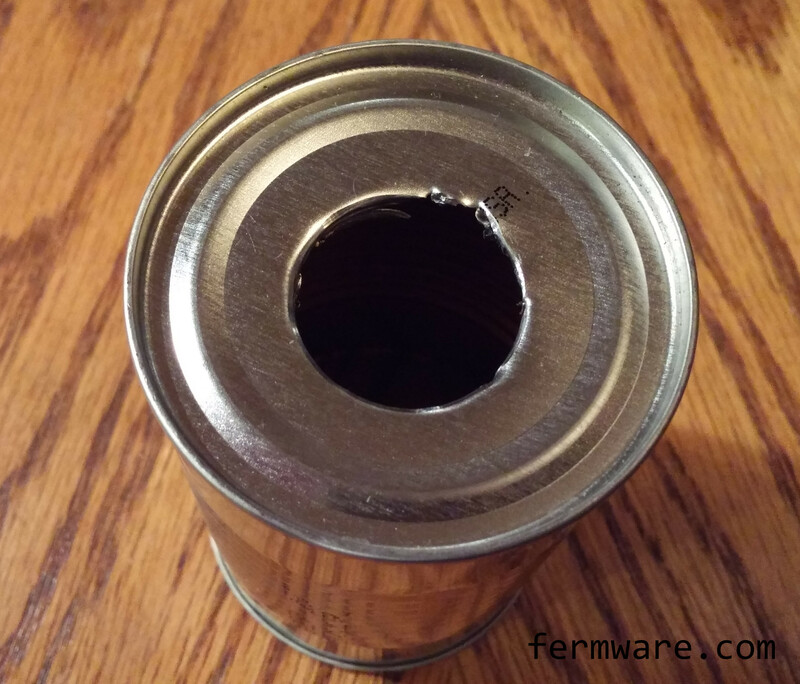 Since the cans are smooth and curved, it was helpful to center punch your hole location to give your drill bit a good place to start. 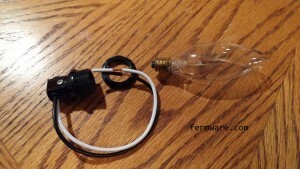 I also cut a simple pass through for the cord and you’ll want to cover the edges with some electrical tape so you don’t accidentally cut the cord. All you need to modify on the housing is to drill a hole for the wire to pass through. 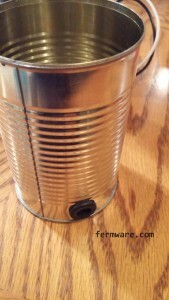 I actually just cut a 1/2″ diameter hole and then used a spare grommet from one of my fermenter lids to protect the cord. This is pretty straightforward. Just take the collar off of the socket, feed the socket through your hole and tighten the collar. 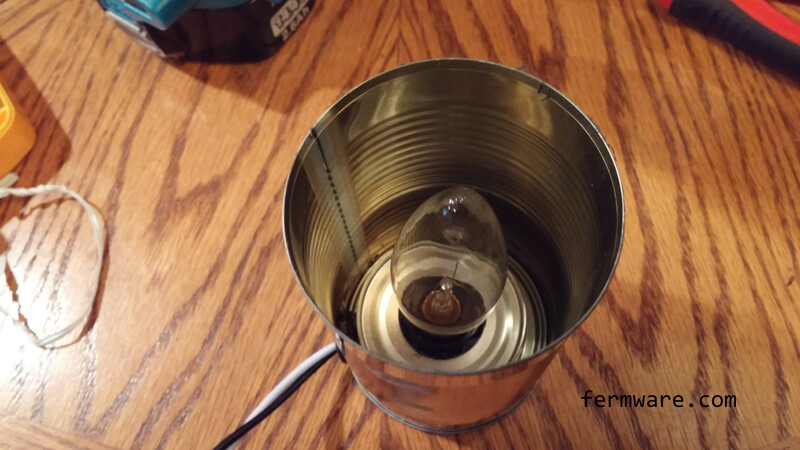 I started with a 25W candelabra bulb that we had on hand for our sconces in the basement. It heated my converted dorm fridge from 55 to 65 in about an hour with nothing in it. 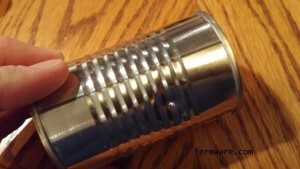 I would suggest trying different wattages until you find something you are comfortable with. 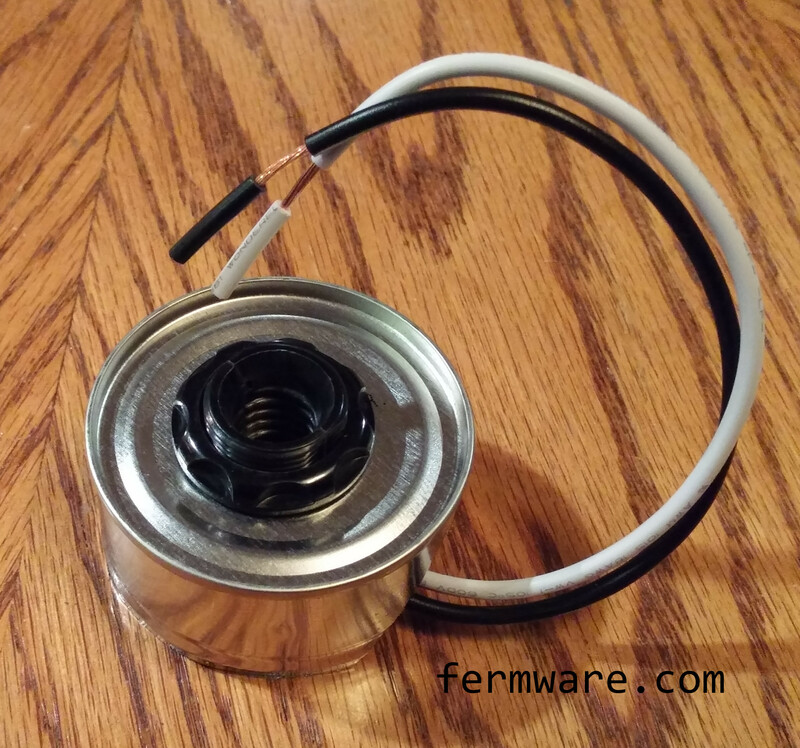 Remember, just like electric heating elements in kettles, the concept of wattage density could matter. 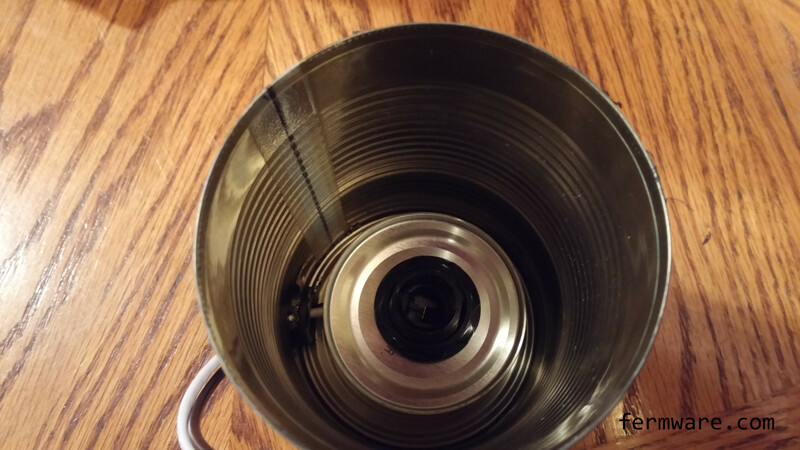 If you go too high on the wattage, you might risk melting some plastic inside your chamber, the bucket or create a focused hot spot in your fermentation vessel. Plug into the heater side of your temperature controller. Consider sharing on your favorite social hangout, shop online at my LHBS or any of the other links on my site. 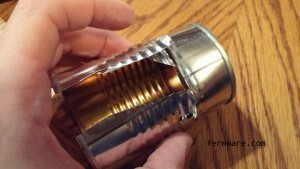 For the second time this year, I’m honored to have one of my DIY’s featured in another great brewing publication. 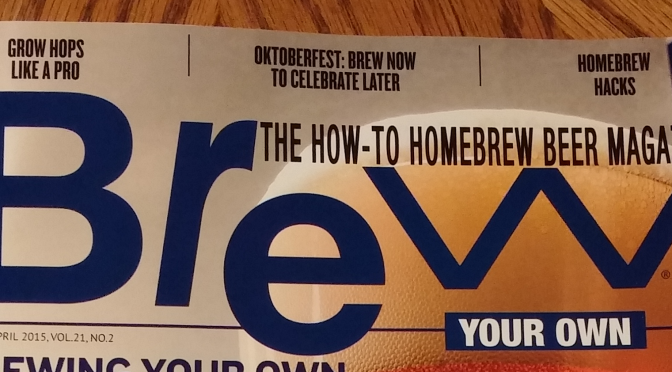 It’s in the March/April 2015 BYO Homebrew Hacks Issue! This issue also has an article about Oktoberfest. Both my favorite beer style and one of my favorite “holidays”. BYO also has been kind enough to allow me to post the article on my website, so just read my section of the article, then go over to BYO and start a subscription! You can download the article for free. Just subscribe to the mailing list in exchange for the free download.